An electric hydrofoil surfboard (efoil) is a great experience if you want to try out new things that are related to surfing or kiting. 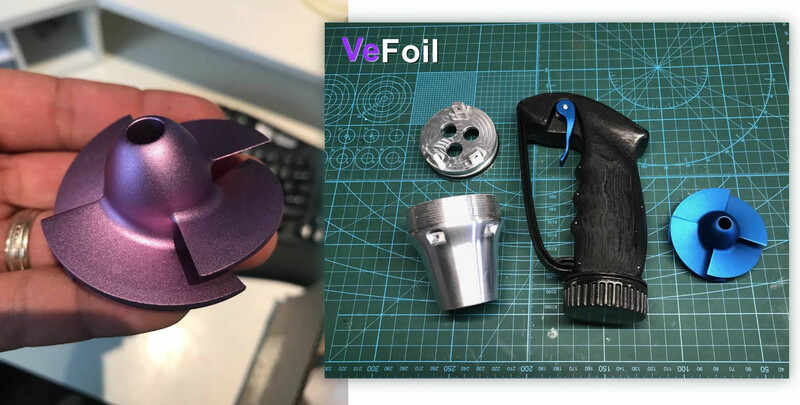 Ve Concepts Inc. (AKA VeFoil) has been working on something new and unique for the efoil vessels and sport with the focus on propulsion safety. Chris Vermeulen approached us for help with impeller design and optimization, to boost efficiency and thrust while keeping the overall impeller diameter size small. 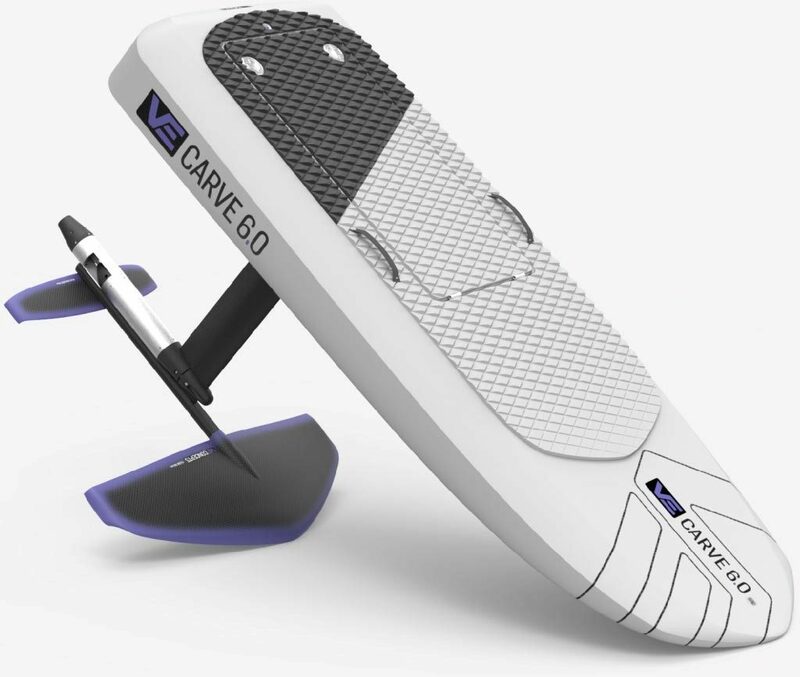 In order to optimize the impeller geometry of the electric hydrofoil surfboard, a fully parametric model of it was created in CAESES. 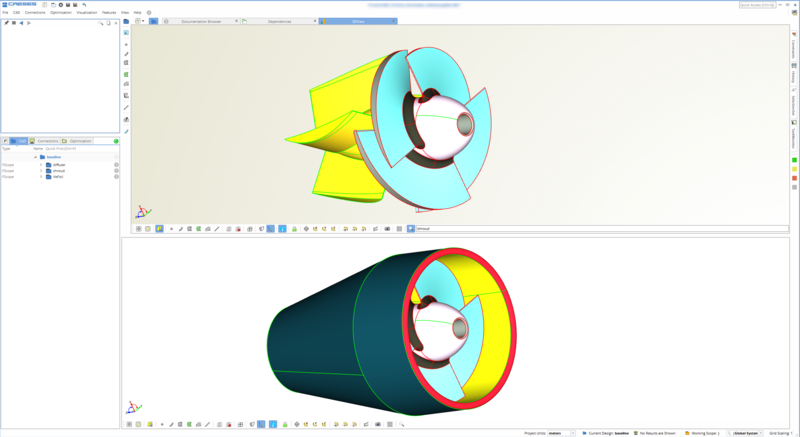 Based on an existing impeller geometry from our model pool, the baseline design was quickly remodeled as a starting point for the optimization procedure. 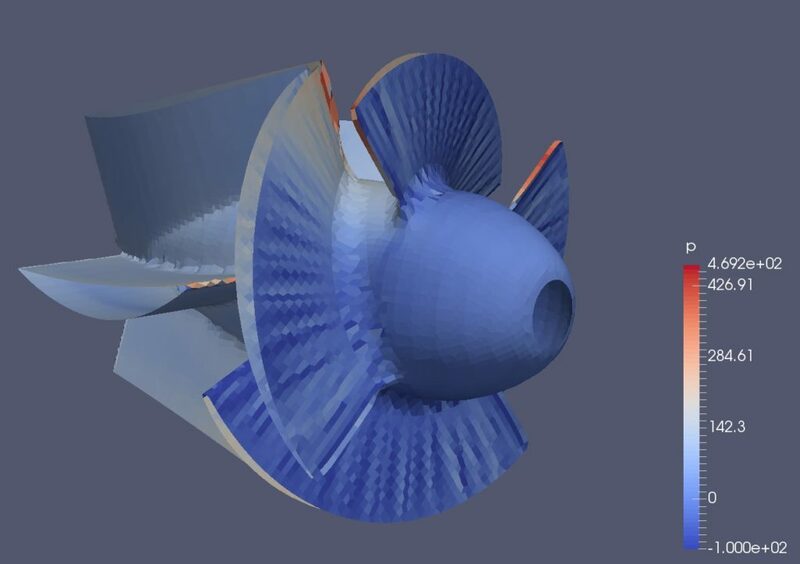 CAESES provides modeling capabilities for all sorts of blades and impellers, and for connecting these variable models to simulation codes. In order to create a variety of different impeller shapes, a set of design variables was defined. They controlled parameters such as the chord lengths, pitch angles, rake values etc. By automating the design creation and the corresponding simulation process, one can readily use the integrated optimization strategies in CAESES for running design explorations. 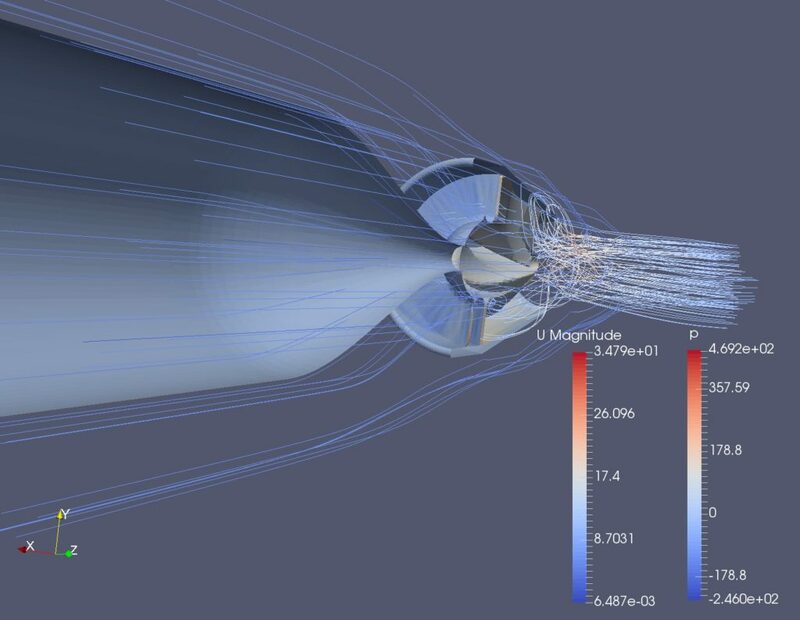 For the simulation part, an OpenFOAM setup was linked to CAESES and helped to analyze the performance of the impeller. During the optimization, the pressure and torque values of the generated designs were monitored. Finding the optimal design was finally done through matching a target torque and RPM value, while maximizing the thrust. The power consumption of the efoil under the same tests dropped whopping 26.6%, completely related to this impeller optimization. His efoil also increased its top speed to over 35 km/h from 25 km/h. 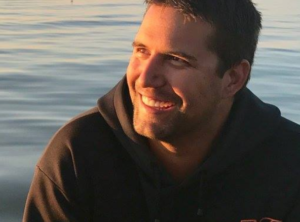 Chris Vermeulen is an entrepreneur, pilot, stock trader, and quasi-mechanical engineer. He has built several interesting things from taser/stun gun, motorbike w/sidecar, and floating sand dredge to name a few. His passions are kiteboarding, spear spearfishing and riding electric hydrofoils. There is a related blog post about generating propeller blades for another efoil surfboard. Check out the industry section for other impeller and propeller applications. Interested in our blog and CAESES news? Then sign up for our newsletter! Thanks Friendship-Systems and CAESES for your help with our electric hydrofoil surfboard –> efoil impeller! Our efoil will be delivering this spring!